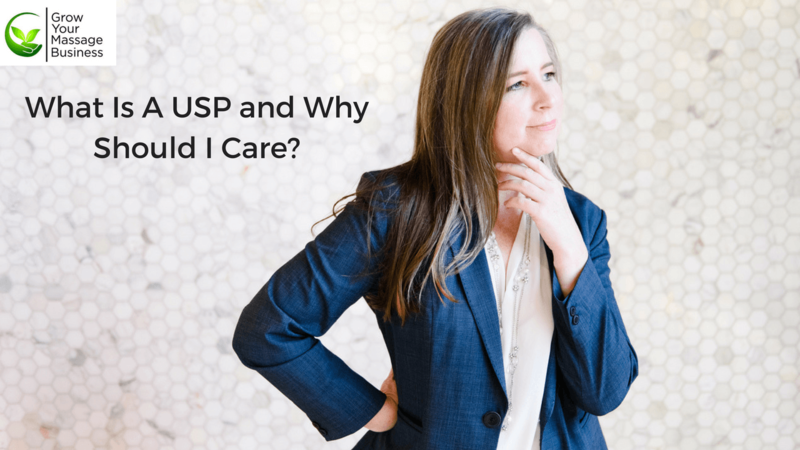 Free - What Is A USP? This course will help you to discover your business' niche, target audience, understand your competitive edge, and have a refined unique selling point (USP) specially created for your business. This course is for massage business owners who understand that it's important to have a unique selling point (USP) for their business but aren't sure how to create one. When you understand your niche and how to address your target audience your marketing efforts will be more effective at bringing in the clients who you want to work on. A unique selling point (USP) can be easily discovered once you understand your competitive edge. Your USP is also known as the "elevator pitch". Just a couple sentences long, can convey to your audience exactly what you do and what makes you different from the other massage businesses in your area. This course contains work that will require several hours to complete, but can be worked on over a period of time. Explain why a unique selling position is necessary for a successful business. Utilize methods to determine competitive edge, Strengths, Weaknesses, Opportunities, Threats (SWOT) analysis, and create a client avatar. Design a unique selling position for a massage business. This course quiz consists of a mix of activities and multiple choice questions.